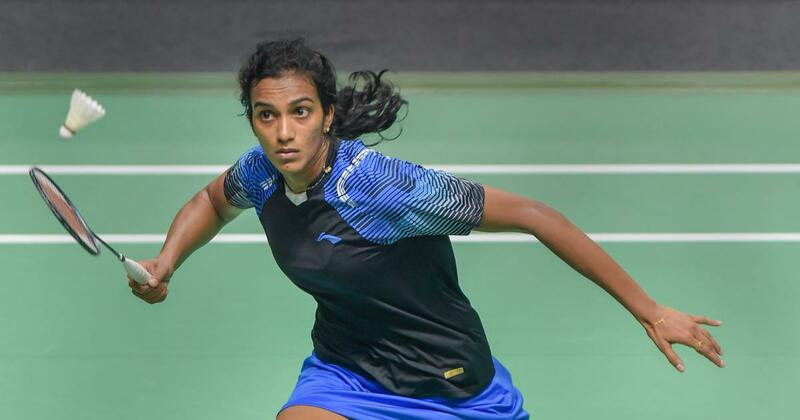 PV Sindhu, the 2016 Rio Olympic silver medallist, created history on 16th December 2018 as she became the first Indian to win the BWF World Tour Finals. She defeated Japan’s Nozomi Okuhara, the 2017 world champion, by 21-19 21-17 in the final match. The BWF World Tour Finals is an annual badminton competition that takes place at the end of every year. It was held from 12th to 16th December 2018 in Tianhe, Guangzhou, China. The total prize of the tournament was $1,500,000. Demi Leigh Nel-Peters from South Africa, the Miss Universe 2017 title winner crowned Catriona Elisa Gray from the Philippines as the Miss Universe 2018. After Lara Dutta had won the crown in 2000, no Indian contestant has been able to win the Miss Universe title in all these 18 years. Spain’s Angela Ponce created history as the first transgender woman to participate in the Miss Universe beauty pageant. This was the 67th edition. NITI Aayog organised the 3rd edition of Women Transforming India Awards with the theme “Women and Entrepreneurship” in New Delhi and awards were given to 15 women entrepreneurs. Shri M. Venkaiah Naidu, the vice-president of India, who was the chief guest at the event, launched Women Entrepreneurship Platform 2.0 (WEP). The primary objective of WEP is to promote and support both established and aspiring Indian women entrepreneurs. The 24th Conference of the Parties to the United Nations Framework Convention on Climate Change (COP24) was held between 2-15 December in Katowice, Poland. It is also referred to as the Katowice Climate Change Conference or Katowice Climate Talks. The most important outcome of COP24 was that the countries have agreed on rules for the implementation of the 2015 Paris Agreement that will come into effect in 2020. The Lok Sabha has passed the Transgender Persons (Protection of Rights) Bill, 2016, which seeks to empower the transgender community in the country by providing them a separate identity, with 27 amendments. The bill was introduced in the parliament two years ago. The primary objective of the Transgender Persons (Protection of Rights) Bill, 2016, is to define transgender and prohibit discrimination against the transgender community. The Severe Cyclonic Storm ‘PHETHAI’ over west central Bay of Bengal moved further northwards with a speed of 24 kmph, weakened into a cyclonic storm and lay centred over west central Bay of Bengal. Due to unfavourable environmental conditions, it is likely to slightly weaken further before landfall and cross coast as a cyclonic storm with a wind speed of 70-90 kmph gusting to 100 kmph. Cyclone ‘PHETHAI’ is also being tracked by Doppler weather radar (DWR) Chennai, Machilipatnam and Vishakhapatnam apart from Satellite and other observations. The Federation of Indian Chambers of Commerce and Industry (FICCI) elected Sandip Somany, Vice Chairman and Managing Director of HSIL Limited, as its President for 2018-19. He was previously working as the Senior Vice President, FICCI. Sangita Reddy, Joint Managing Director of the Apollo Hospitals Group was elevated as the Senior Vice President of FICCI for 2018-19. Uday Shankar, Chairman and CEO of Star India, joined the chamber as the Vice President. Indian Prime Minister Narendra Modi and Maldives President Ibrahim Mohamed Solih signed four agreements on various fields in New Delhi during the latter’s a three-day visit to India. Prime Minister Modi said India will extend 1.4 billion dollars financial assistance to the Maldives. Both sides agreed to further strengthen bilateral ties. They welcomed new visa agreement between India and Maldives. 1. Who is the first Indian to win the BWF World Tour Finals? 2. Who won the Miss Universe 2018 title? 3. Catriona Elisa Gray who won 67th edition of Miss Universe title belongs to ___? 4. Who created the platform Women Entrepreneurship Platform? 5. When was the Transgender Persons (Protection of Rights) Bill introduced in parliament? 6. Where was the 24th Conference of the Parties to the United Nations Framework Convention on Climate Change (COP24) held? 8. Who has been elected as the president as the Federation of Indian Chambers of Commerce and Industry (FICCI) for 2018-19? 9. What was the financial assistance agreed by India to the Maldives?